Originally built for the purpose of demonstrating the modern military capability of airships to the US Navy, the GZ-22 was originally designed by Goodyear but built by Loral after Goodyear withdrew from airship manufacturing. The GZ-22 had a steel framed and composite skinned gondola with a neoprene-impregnated polyester 2-ply envelope filled with helium. The GZ-22 Type Certificate was issued on 31 August 1989. On 28 October 1999 the Spirit of Akron crashed at Suffield Township, Ohio, when it suddenly entered an uncontrolled left turn and began descending. The pilot and technician on board received only minor injuries when the airship hit trees. The NTSB report identified improperly hardened metal splines on the control actuators had sheared, causing loss of control and identified the probable cause as being failure by the “flight control system manufacturer to meet design (hardness) specifications”. Goodyear donated the control car and many of the parts to MAPS Air Museum. MAPS restoration crew went to work on the car. With the pieces that they gave us went together with a lot of hard work at the Wingfoot Lake Hangar. Oct.31,2008 Delivered to MAPS on a flat bed trail. With the help of the movers, MAPS, and the airport it was unloaded and moved into the hangar where it sits now. The instrument panel did not have any instruments. Goodyear gave us the instruments. They were placed in the panels and wired. Power Supplies were added to power the instruments, radio, DVD player, LCD screen, audio amplifier, and lights. Article on how the name, Spirit of Akron, came to be. MAPS own GZ-22, the “Spirit of Akron” in flight. History on how MAPS Air Museum came into having the “Spirit of Akron” gondola and envelope, including the restoration. 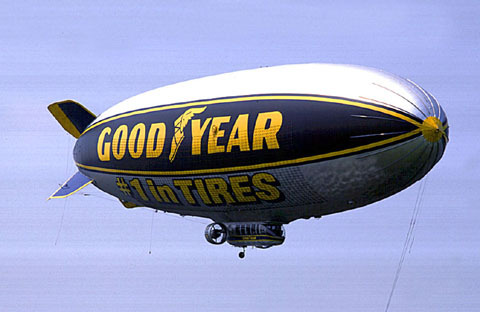 Here is a synopsis of the varying sizes, types and specs of the Goodyear fleet over the last century. 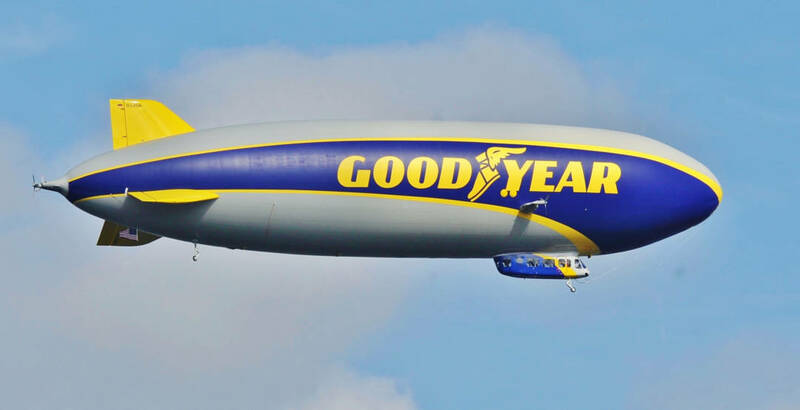 Wiki information on Goodyear’s fleet, particularly the GZ versions, fleet accidents, Navy versions and how they name their airships. Goodyear’s website on their fleet. Confused on the difference of airships, dirigibles, zeppelins and blimps? This link helps clarify the difference of these names.